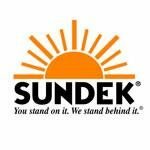 Become a Sundek Dealer Get an exclusive territory for concrete restoration & overlay installation. One stop shop for training, technical support, marketing, job leads & business services like payroll, billing & more. Concrete Coatings Systems can create a profitable part time or full time business for you. 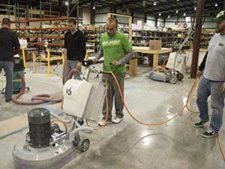 There are endless installation opportunities using Roll on Rock® or Lava Flow® Epoxy Floor Coatings. Your Future is Engraved in Concrete Start your own concrete engraving business. No territories, franchise fees or Royalties. No experience OR overlays necessary. Training, resources, equipment, on-going technical support and more. 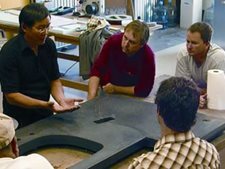 Easy as 1-2-3…It’s a Resurrection for Existing Concrete. Get Job Leads from the Web Get a quote for the cost of advertising your company on ConcreteNetwork.com. Be where the buyers are—over 14 million visitors in 2017. Join Bob and Lee Ann Harris to celebrate the opening of their new facility with demonstrations and seminars from some amazing industry professionals. 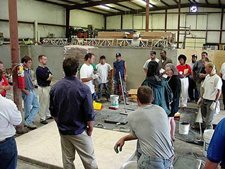 Complete precast, GFRC, and business training for those starting a creative concrete business. 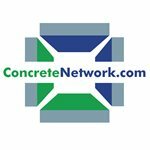 Concrete Network's Annual Showcase A free publication for concrete contractors. Published each spring.